Is Photorescue really the best app in Backup category? PhotoRescue Expert.... In 2001, PhotoRescue introduced the first affordable and fair "what you see is what you get" digital picture and digital photo data recovery solution. 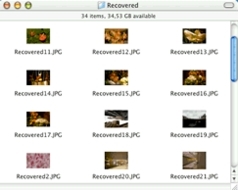 PhotoRescue will undelete, unerase and recover pictures, images, photos and files lost on corrupted, erased or damaged compact flash, smartmedia, memory sticks, mmd, XD, multimedia or secure digital memory cards when other solutions fail. Unlike our competitors, we do guarantee our data recovery performance: once the demo previews your pic, they will be recovered or you get your money back (see our refund policy). Supports Additional RAW file formats.